Chase was unbeaten on 98 at the end of the day, helping West Indies reach 295 for 7 as Indian spinners were rendered ineffective during final session. 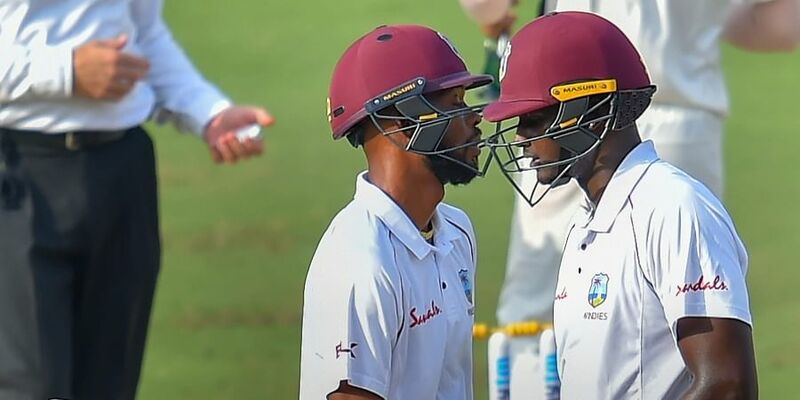 HYDERABAD: Roston Chase's experience of handling spinners back home was crucial in the West Indies' fightback on the first day of the second Test against India, said head coach Stuart Law. "I think he understands spin. They face a lot of spin back in the Caribbean in domestic cricket. He has got a long reach and he takes half-a-stride and is there to the length of the crease. He uses that to his advantage, he is a clean striker of the ball," Law said. Chase had once batted an entire day to score a hundred against India in Jamaica in a 2016 Test match. He frustrated Amit Mishra and Ravichandran Ashwin for six hours to earn a draw for his side. "One thing he has got is that he loves fighting at the cricket ground. He does enjoy playing spin. He has worked hard against the pace and it's not a weakness any more. It has started becoming a strength. "So once you have those both bases covered, coming to India, we expect to play a lot of spin. We are going from here to Bangladesh. We are going to face lot of spin over there, so it's good the boys are getting a taste of spin here as well," said the former Australia middle-order batsman. "The great thing about coming to India is you get lot of net bowlers at most practice sessions and majority of those guys are spin. That's great learning curve for us." Law spoke highly about Chase's ability to identify pressure situations and raise his game accordingly. "Look he is a quality player. He has been a bit quiet since England and Zimbabwe. He has had reasonable success there but since then by his own standards he has been a bit quiet. He got a 100 in the series against India two years back and he obviously likes playing their type of bowling." But Law admitted that Shardul Thakur's injury did make things easier for them as India were a bowler short. "Today, India are under a bit of a pressure too with their young debutant getting injured. That put a lot of stress on the other quick as well. Chase has got a good temperament. He is a fantastic cricketer. He is not done yet, he has done a reasonable job today he still needs to finish it off tomorrow."